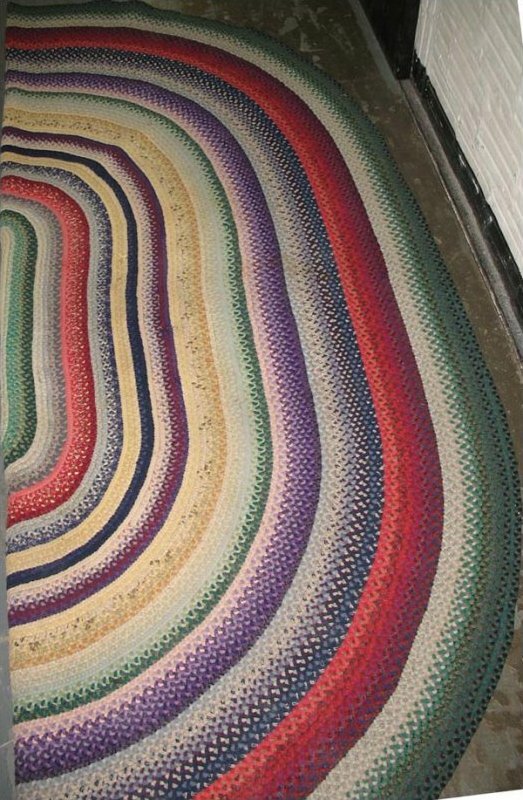 Said to have been a prize winner at a New Hampshire state fair, this is a skillfully hand braided rug with a lot of thought given to its composition in terms of the scale of the braids and the way color is treated. Very narrow braids in many rich pastel colors are each shaded in tone from lighter to darker, enlivening the whole composition. You can see why it was a prize winner from these thoughtful artisan decisions.